We all may be guilty of forgetting to pick up a birthday card and write a message for someone special in our lives. If you only have time for a short message but can’t decide what to say, you don’t have to worry any longer. We’ve compiled a grand list of short birthday messages that are sure to get your point across without leaving the recipient feeling like you rushed your words. Sometimes it only takes a few words to get our meanings across. Take a look at the masterlist below of short birthday wishes and pick the perfect one for the birthday celebrator in your life. If the person celebrating their birthday in your life is a child, one of the following wishes will be perfect for them. Three cheers for the birthday boy/girl! Happy birthday kiddo, I hope it’s a good one! Happy birthday and well wishes to another year of fun! Happiest of birthdays to the best of kids! Happy birthday to the best son/daughter I could ever ask for! Special birthday wishes for a really special kid! Today is your cake day, so make sure to grab the biggest slice! Another year older: happy birthday, big boy/girl! One of these short, simple, sweet message will be perfect for the friend or family member celebrating their birthday. May this day always be as wonderful as you: happy birthday! Best of wishes for another year full of good times! Happy birthday: may all your dreams come true. Wishing you a birthday full of love and happiness. May today be filled with plenty of cake and presents. Happy birthday to someone who deserves the happiest of days! Wishing you another year of growth and success! I hope your birthday is even half as wonderful as you are! Wishing this next year brings you happiness! Happy birthday and best of wishes! These birthday wishes will work well for a coworker or colleague who is celebrating their special day. It’s a pleasure to work with the birthday man/woman! Happy birthday to someone who makes coming to work worth it! Happy birthday to the world’s best coworker. It’s an honor to work with you and be able to wish you happy birthday. Wishing you a wonderful birthday from the whole team! Our staff wouldn’t be the same without you! Happy birthday. Happy birthday, may you continue to succeed in your career. Warm wishes from everyone from the team on your birthday. On behalf of everyone in the office, happy birthday! Happy birthday! I admire all the hard work you do! If you want your short birthday message to still bring a smile or laugh to the reader, choose one of these wishes. Uh oh, now you’ve done it! Another year older! Is this the birthday you start lying about your age? May you grow so old you forget how old you’ve ended up! Ooh, it smells like birthday cake! Save a slice for me! You are the coolest person I know… but I don’t know many people! Regardless, happy birthday! Studies have shown that people who have more birthdays live longer, so here’s to wishing for many more! Happy birthday to the new grey hairs on your head! Happy birthday: being old is worth celebrating! Today is the oldest you’ve ever been, so let’s party! 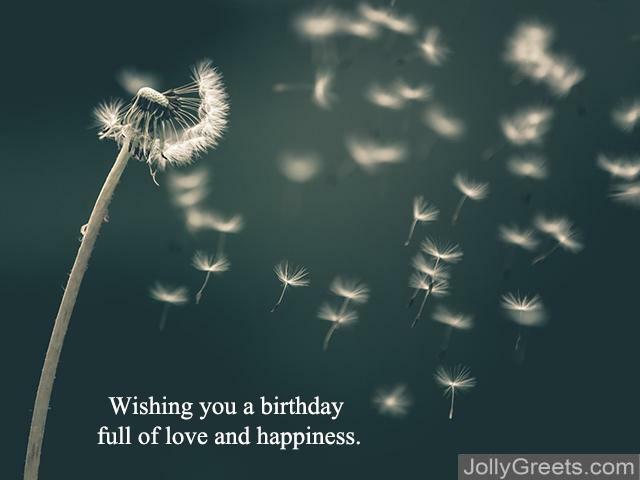 If the person celebrating a birthday in your life is religious or spiritual, one of these short birthday wishes will be perfect for them. We were all blessed the day you were born. Wishing you everything blessing on your birthday. I thank God for bringing you into this world, happy birthday! What a wonderful birthday to celebrate such a wonderful soul. On this day, we celebrate how blessed we all are to know you. May God’s love shine down on you this birthday and throughout this next year! Happy birthday in faith, many blessings to you! May God bless this birthday and each and every day for you. The general nature of these wishes make them perfect for anyone celebrating a birthday in your life, regardless of your relationship with them. Best wishes on your birthday and many more to come. Wishing you the best of all birthday. Happy birthday to such a fantastic person: you! Happy birthday, don’t forget to blow out the candles! Your birthday is here, so have a good cheer, best of wishes on another year! Congrats on another year spent here on Earth. Happy birthday, spoil yourself rotten! 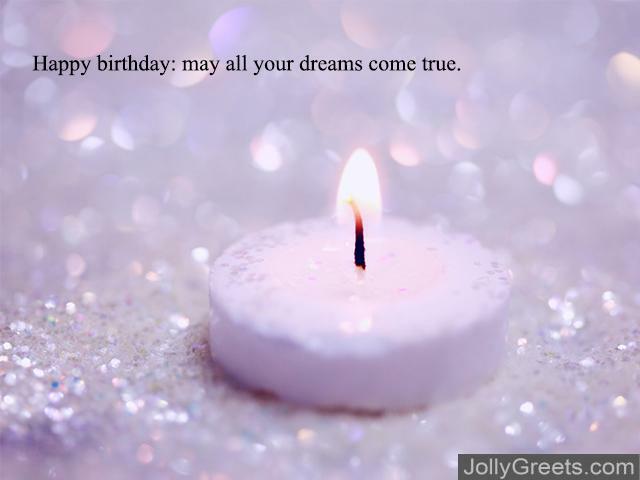 Here’s hoping your birthday is everything you could dream of. Happy anniversary of the day you were born! I hope you have a birthday half as wonderful as you are! Sending happy birthday wishes and a hug! I hope you have an awesome birthday, birthday boy/girl! Lots of well wishes for you birthday. Here’s hoping you get tons of birthday gifts! May your birthday bring plenty of fun. Happy birthday to a person whose wonderful inside and out! There’s no need to keep calm: it’s your birthday! Time to celebrate. 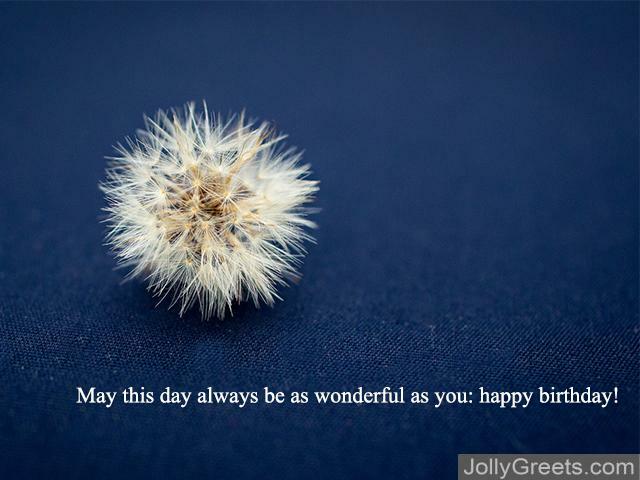 Did this list of short birthday wishes inspire you? We hope you realize you don’t need to write a novel to write a wonderful birthday message, you just have to write something. Even a small amount of time and effort can lead to a birthday wish that could mean the world to its recipient. And if you do think these messages may be a short too short, you can always combine a few of them! Happy birthday to whoever in your life is celebrating.